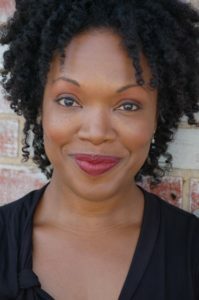 Actress, dancer, and storyteller April C. Turner will present “Dancing Stories” at the Neuse Little Theatre in Smithfield on Thursday, February 21, at 6:30 pm. This program, sponsored by the Black History Committee of the Johnston County Heritage Commission, uses traditional dances, stories and songs from traditional West African culture to affirm community building concepts such as working together, integrity, and perseverance. Members of the audience will be invited to play instruments and dance at the end of the performance. Ms. Turner is an accomplished writer and has played roles in several television dramas, including Army Wives, ER and Unanswered Prayers. Admission is free, although donations are graciously accepted. Light refreshments will be served. For more information call the Johnston County Heritage Center at 919-934-2836 or send an email to heritagecenter@johnstonnc.com.